You can mail a money order to the offender. The money order must have the offender's name, date of birth and social security number on it. No cash or checks will be accepted through the mail. Meherrin River Regional Jail will not be held responsible for cash sent through the mail. Cash may be deposited in the ATM in the lobby of the jail at either facility. You will need the offender's first and last name in order to deposit cash into the kiosk. 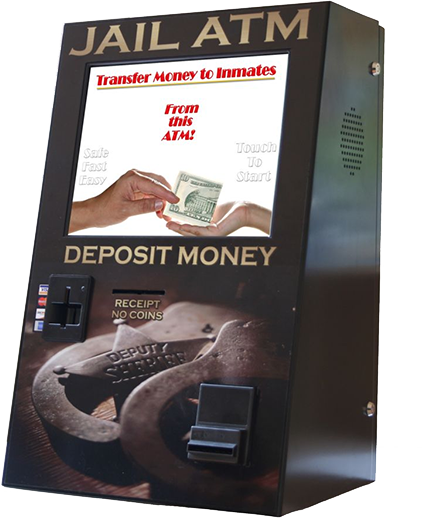 The ATM is the only place we accept cash on an offender's account. Money orders may be given to the lobby officer to be deposited to the offender's account. The money order must have the offender's name, date of birth and social security number on it. You may also deposit funds online by visiting www.jailatm.com and clicking on the "Send Money Now" button. Monday – Friday 6 a.m. to 10 p.m., excluding holidays. LOBBY HOURS ARE SUBJECT TO CHANGE WITHOUT NOTICE AND ANYTIME DUE TO SECURITY REASONS.